Posted on Sunday, October 26th, 2014 at 11:15 pm. Communication is a key tool in getting your point across but if you’re not effective, people can either get hurt or worse, not care about what you say. Great communication can be your platform to success because that is a skill that every successful businessman has. Of course, this is easier said than done. A lot of times, we try to convey a message and it might seem that people are either not interested or insulted. This is because we haven’t learned how to communicate assertively. You see, it’s your assertiveness that will carry the message for you and if you’re not assertive, your message will be useless. So if you really want to get people to notice and hear you, consider joining the assertiveness and self-confidence training of PD Training in Singapore. Do you really know yourself? Maybe you might be missing some key knowledge about yourself. You see, before you can attempt t o know others, you have to know yourself first. Knowing yourself helps you to adjust your style of communication to suit that of others. Ask yourself these questions and it might help you to find out what your style is. What are my communication tendencies? Once you answer these questions, you will have a clearer view of yourself and this will help you a lot in learning how to deal with others. 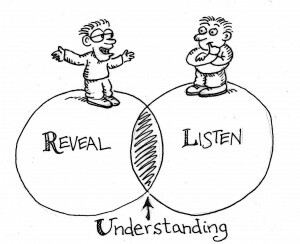 How about understanding others? You already know yourself but you also have to know about the other person. Try to find out some of these things. What are the other personality types out there? What are the other communication preferences? What are the other communication tendencies? By knowing others, you will be able to adjust easily than before. But beyond preferences and tendencies, there are a lot of barriers blocking the path to a good conversation. Here are some of the common barriers we face everyday. Language Barrier – The world is much smaller now than it did just a decade ago. Technology has introduced us to the world and vice versa. Though this has brought convenience, it has also brought along some inconveniences. Because of how small the world is today, we have to talk to people who may not be comfortable using the English language. This makes communicating harder than to do. Culture – Because we interact with the rest of the world, we also encounter some differences in culture. Be prepared for some of the things that other people do that you wouldn’t. We have to keep an open mind on these things as a sign of respect for people who belong to a different culture. Time – Because we come from different areas of the globe, there will be time differences. Always be on time for meetings because some of the people you encounter should be asleep but instead, they are awake because of you. With the barriers that you encounter, one thing seems to be the key to making it work regardless of the barriers and this is called respect. If you want to know more about how you can be a better communicator, don’t hesitate to join the assertiveness and self-confidence training course of PD Training in Singapore. All public Assertiveness & Self-Confidence Training courses include am/pm tea, lunch, printed courseware and a certificate of completion. Customised courses are available upon request so please contact pdtraining at enquiries@pdtraining.com.sg to learn more.